Social media engagement in healthcare continues to expand. For members of the colorectal community, social media has already made a significant impact on practice, education and patient care. The applications are unique such that they provide a platform for instant communication and information sharing with other users worldwide. 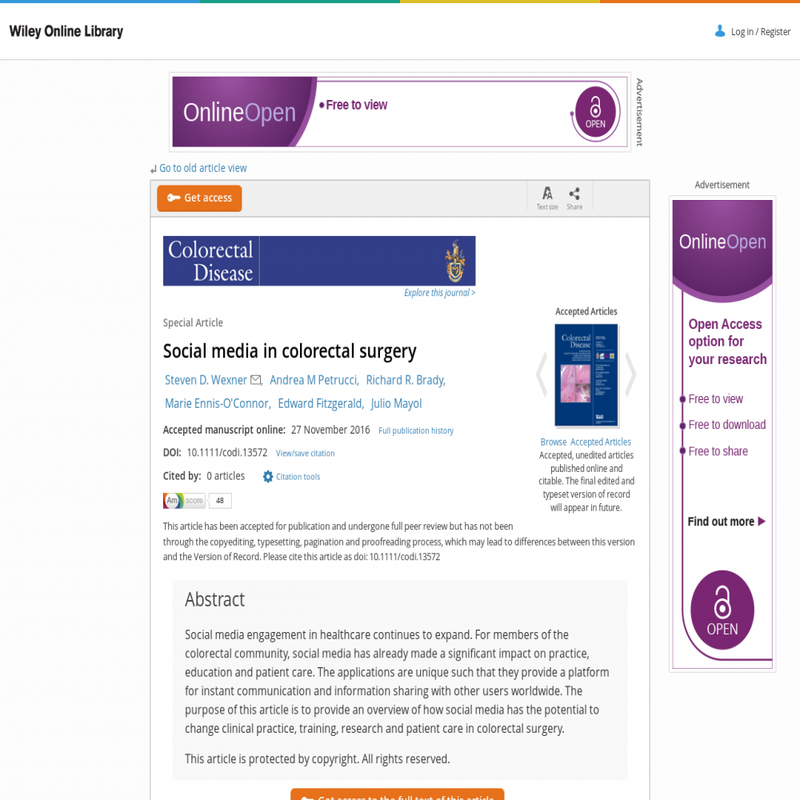 The purpose of this article is to provide an overview of how social media has the potential to change clinical practice, training, research and patient care in colorectal surgery. This article is protected by copyright. All rights reserved.